While the first week of my longer vacation was mainly spent sleeping, eating and playing up all the videogames I didn’t have time for during those last stressful weeks and months, I do of course hope that you all had a very merry Christmas! Now with the end of the year fast approaching, it’s time again for a retrospective on the releases, hobby developments and outstanding hobby achievements of this past year. So I welcome you to the second annual Eternal Hunt Awards! Now I do of course realise that this may be a controversial choice, but the longer I thought about it, the clearer it became to me that this model deserves the top spot in my personal list. Is it because I am a huge Khorne fanboy? That’s certainly a part of it, yes. But there’s more: For one, I can still recall the moment I first laid eyes on this model when pictures were leaked over on Dakka. I actually sat there with my mouth open for a while, and that doesn’t happen all that often. I was stunned — and not the bad kind of stunned where you’re just preparing to emit and earth-shattering groan. While tons and tons of scorn may have been heaped upon this model online, I love it, pure and simple. It embodies the kind of models we dreamed of during our childhood and teenage years, but that could never have been possibly produced. 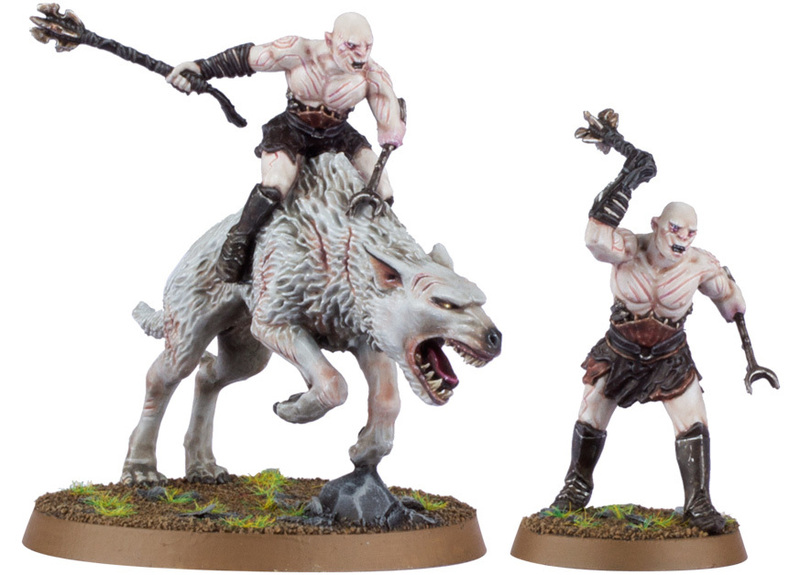 Heck, GW even had to introduce a dedicated scale – Epic 40,000 – to feature battles between models at that scale. And looking back on those models now, we would never have guessed that it would one day be possible to add huge walkers, tanks and all kinds of superheavies to our forces at 28mm. 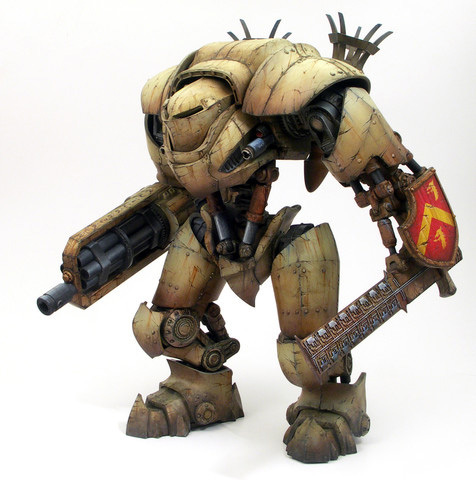 Then Forgeworld came, and provided you were willing (and able) to sell a kidney, you could use Titans and Greater Daemons that really deserved the name. And then, a relatively short time ago, GW proper actually started to produce plastic kits at that scale. And here we are now, with a kind of model we could only imagine in our wildest dreams when we were children, available in glorious plastic. 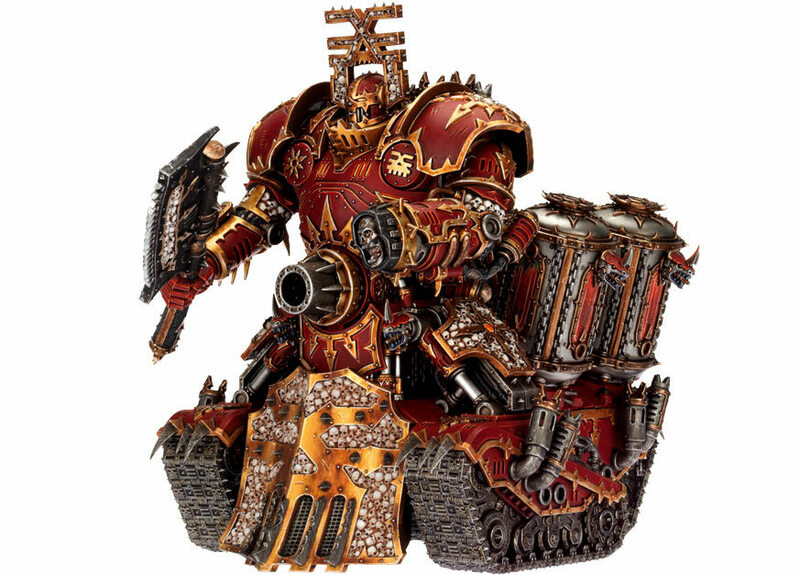 GW have taken my childish dreams and given them form. Is the resulting model realistic? Certainly not. Is it too OTT and corny? Quite possibly. But face it, guys and girls, this hobby of ours is certainly not the most grown up pasttime in the first place. So while it may be a corny, ridiculous model in certain respects, and while I am not even sure I like the fact that the game has to get bigger all the time to accomodate stuff like this (more on that below), and while I am pretty sure that I’ll never get one for myself, there was one perfect moment in 2013 when my mouth hung agape in amazement at the coolness of a model. And if that model doesn’t deserve the top spot on this list, then nothing does. Read my detailed opinion of the model here. Mark Mondragon certainly deserves a place high on his list for his amazing models. 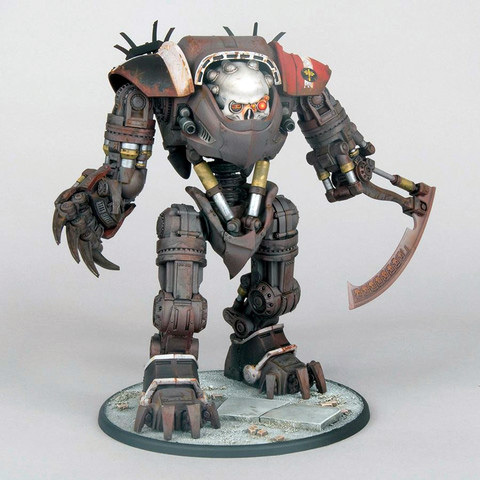 Be it the amazing Eisenkern Stormtroopers pictured above or the two variants of huge walker, the Leviathan Crusader and Leviathan Mortis, these models are certainly giving GW a run for their money. The Stormtroopers may be slightly more futuristic than 40k players are used to, but they have that retro, faux-WWI/II aesthetic I enjoyed so much about the old Warzone models, and that alone was reason enough to pick them up. The sprues abound with extra bitz and conversion options, and I am more than a little ashamed to say that I have yet to complete my first test models — it’s certainly not due to any lack of quality! Dreamforge Games‘ releases deserve this spot on the list for another reason, though, even if the quality of the models would normally already be enough: These kits were made possible by a Kickstarter that spectacularly exceeded its original goal. It is only the one Kickstarter I have ever backed so far. And my first experience with this medium could not have any better: Mark Mondragon worked tirelessly to let the backers know which decisions had been taken and why and how far the products were along. He posted regular updates and went out of his way to accomodate backers’ wishes, even squeezing some additional bitz onto the sprues when it turned out there was some capacity left. If GW ever want to improve their communications with their customers, they could certainly do worse than take a look at how Mark approached these things. So head over to Dreamforge Games’ website and check out their models. Chances are, you’ll be amazed — just as I was. Read my two-part review here and here. World Eaters players had precious little to go on when it came to their legion’s background and identity. The Horus Heresy releases from FW and Black Library did alleviate that problem, especially with the excellent short story “After Desh’ea” by Matthew Farrer. 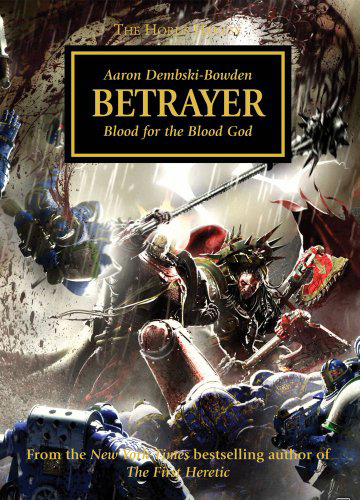 But the one book to really flesh out the legion was Aaron Dembski-Bowden’s Betrayer, and I cannot recomment it highly enough. Read my review here, in case you are interested. I realise that all three things on this list effectively tie back into the same problem: GW just cannot seem their act together when it comes to the various factions of the Inquisition, their military arms and supporting organisations. Which is really mind-boggling, if you ask me, because they already really nailed it before. Twice. Azhog was the star of the first Hobbit film for me. His hulking, malicious presence provided an excellent villain, even though he certainly isn’t the most well-rounded of characters. Then GW dropped the ball (or were possibly forced to drop the ball, due to some NDA nonsense) by not releasing an appropriate model for ages. And when the model finally was released, it somehow ended up far less impressive than I would have liked. I couldn’t even tell you precisely what’s wrong with the model, since it seems like a fairly accuate representation of the character design. But it doesn’t feel like that hulking, malicious brute I remember from the film. The Horus Heresy: I said last year that I am not perfectly sure whether or not to like FW’s focus on the Horus Heresy, and that still holds true — which has nothing to do with the – mostly excellent – models so far, but rather with the fear of a Star Wars-like state of affairs, where every minute of the Heresy will be accounted for at some point. My philosophical musings aside, though, the one thing I love unconditionally about the setting is how it has given rise to a couple of amazing and astonishing hobby projects that take a look at this very different period of Imperial history — just check out projects like Pooms’ Pre Heresy World Eaters , Agnostos Theos’ force from the same Legion or my favourite HH thread at the moment, and you’ll see that there’s lots and lots of inspiration to be had, even if you have no plans of starting your own HH army. The new White Dwarf: I’m going to go out on a limb here and confess I really like the “new” White Dwarf. By now, the novelty has worn off, and the shape of the mag has congealed into something more solid, and I have to tell you I like what I see. Sure, we can always go back and compare today’s WD with the 90s’ version. 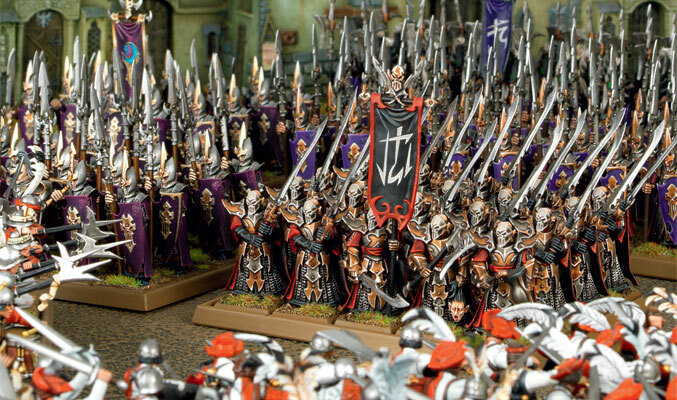 But if we judge the mag against itself, I think it’s really a good concept: I like the focus on the staff’s and hobbyists’ armies over ‘Eavy Metal pieces (even if the armies of the editorial staff seem to appear a little too often…). I like the look at kitbashes and conversions and the army showcases. I love Blanchitsu, obviously. Is it still a sales brochure? Undoubtedly. Is it more of a coffee-table book and less of a fanzine? Yes, possibly. But looking at it gives me new ideas and inspirations more often than not, and that is certainly nothing to scoff at. The hobby’s more than just the official releases, though: It’s really about the hobbyists. So in the next installment of the 2013 Eternal Hunt Awards, let’s take a closer look at this year’s oustanding hobby projects and talented artists. Until then, I’d love to hear your feedback in the comments section! And, as always, thansk for looking and stay tuned for more! This entry was posted on December 28, 2013 at 15:45 and is filed under 40k, Pointless ramblings with tags 2013, 40k, award, awards, dreamforge games, eternal hunt awards, games workshop, release. You can follow any responses to this entry through the RSS 2.0 feed. You can leave a response, or trackback from your own site. Nothing much to say except that i like these articles, almost as much as the ones with pictures of red genetically engineered killing machines. Probably wouldn’t follow the blog if it was just pics. Great article and lots of insight that I really chewed on for a while. Thank you for the thought provoking epics like this that have become a hallmark or Eternal Hunt. I’m looking forward to another great year of blogging and sharing the hobby. Merry belated Christmas and a happy New Year! Great article! While I loath the Lord of Skulls, my number 1 this year would be the new technical paints, I agree on your other points. I look forward to the next part, and a new year of Eternal Hunt.